Al Jami` al Kabir wa al Wasat is a section of another place in the region of Deir ez-Zor in Syria. Find all facts and information about Al Jami` al Kabir wa al Wasat. 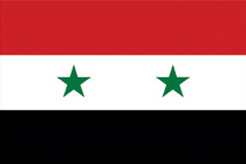 Al Jami` al Kabir wa al Wasat is located in the region of Deir ez-Zor. Deir ez-Zor's capital Deir ez-Zor (Deir ez-Zor) is approximately 0.8 km / 0.5 mi away from Al Jami` al Kabir wa al Wasat (as the crow flies). The distance from Al Jami` al Kabir wa al Wasat to Syria's capital Damascus (Damascus) is approximately 408 km / 253 mi (as the crow flies). Maybe also interesting: Distances from Al Jami` al Kabir wa al Wasat to the largest places in Syria. Find your hotel in Al Jami` al Kabir wa al Wasat now. Book a hotel for your stay in Al Jami` al Kabir wa al Wasat.